If you've ever dreamed of makeup that coordinates with your outfit, now it is a reality. Allure reports that Kylie Jenner and Adidas have teamed up for the "Reveal Your Voice” collection. Available on March 16, it is complete with new Adidas pieces, designed by Kylie. This includes a new colorway on the Adidas Falcon shoes and new athleisure pieces. The clothing collection was inspired by Kylie Cosmetics' famous Lip Kits. The "Shady Lip Kit" seamlessly pairs with Kylie's new Adidas collection. Kylie told Vogue "Shady [is] this really beautiful blue. It’s out-of-the-box and inspired me to create all of these super-cute clothes with Adidas.” She explained, "The outfit comes first. So [it’s] like an accessory — the cherry on top." 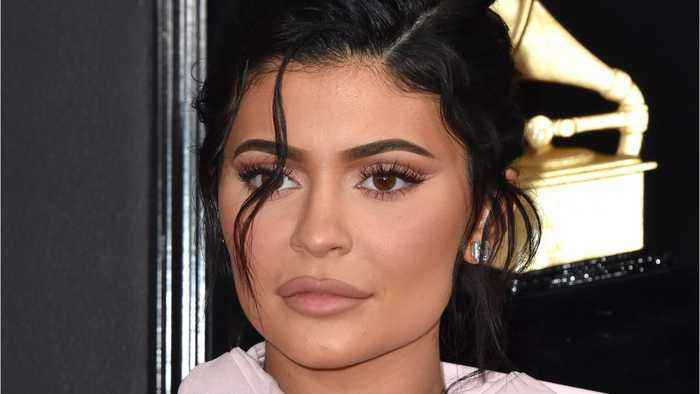 In an interview with the New York Times, published Saturday, Kylie Jenner denied using her company to send a message about her relationship with Jordyn Woods. After news broke that Khloe Kardashian's..
Kylie Jenner insisted she didn't deliberately slash the price of her 'Jordy' lip kit after Jordyn Woods kissed Tristan Thompson.